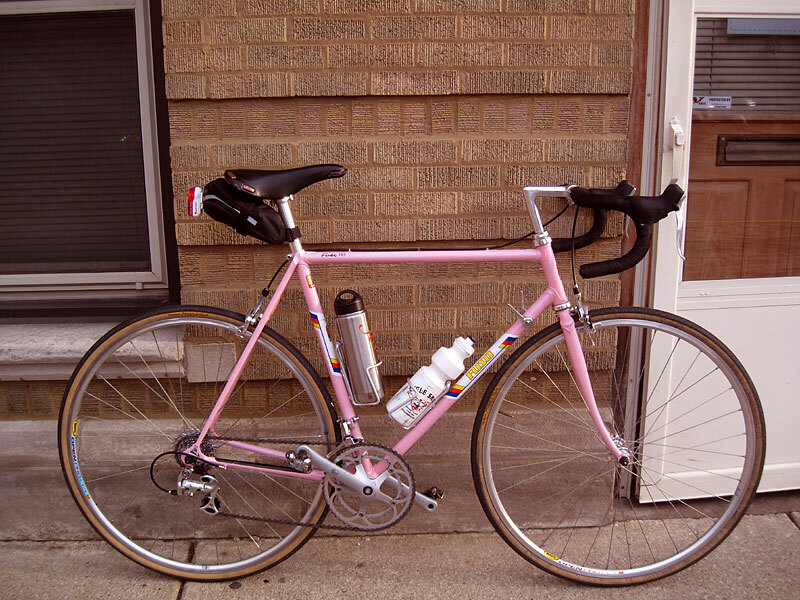 Here's my Fuso FR1 updated with Mavic Open Pro/Ultegra wheels, nitto noodle bars, SRAM single speed brake levers/Rival brakes, Riv silver shifters, 105 rear mech and unknown Campy front mech and cranks. 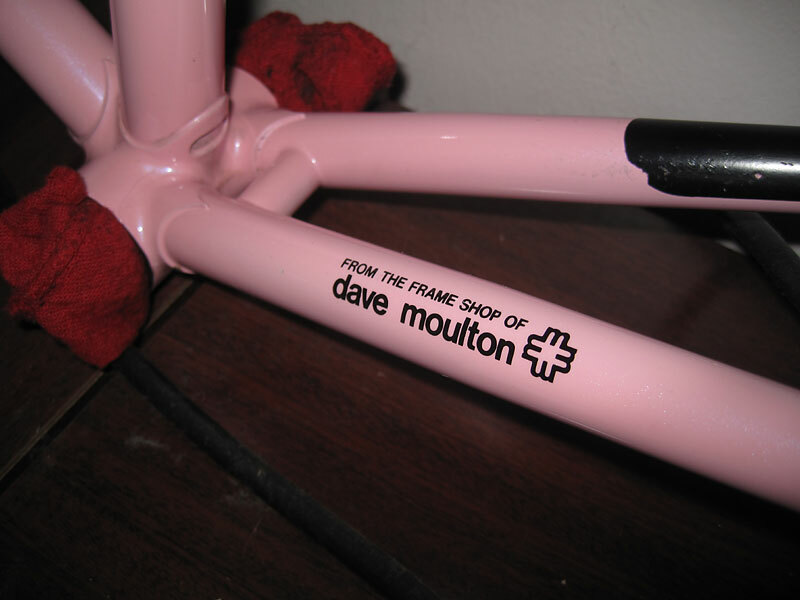 I emailed Dave Moulton to hopefully get some more information on the frame (Dave Moulton Bike Registry) as it's the only pink fuso I've seen. You might see it in or around Chicago IL.